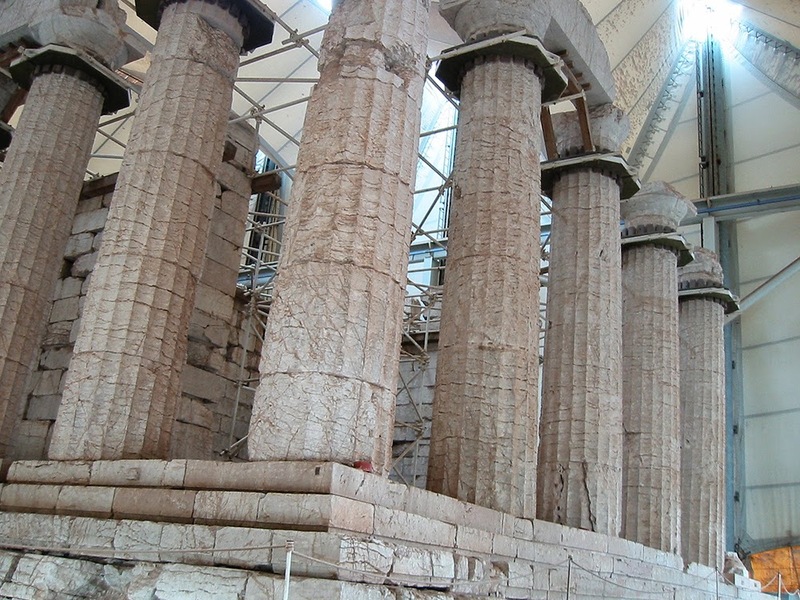 Back in Ancient Greece the temple was the most important building. The first temples to be constructed from stone began to appear in the 6th century. The Greek temples were not used as places of worship, but rather as monuments to their beloved gods and goddesses. Some of the best examples of Greek temples standing today are located not only in Greece, but in what would have been their ancient empire that stretched to various other locations including Italy, which is home to some of the most well-preserved Greek temples. 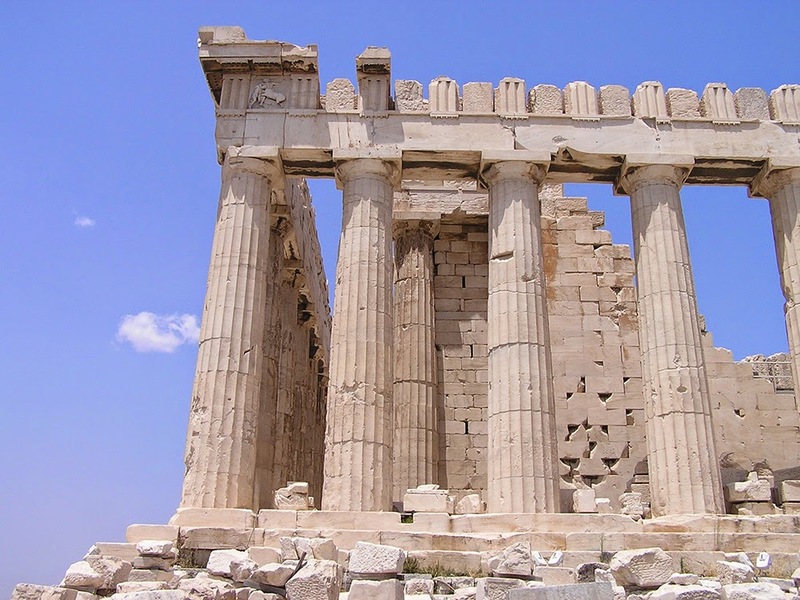 The Parthenon, located atop the Acropolis is a monument dedicated to the goddess Athena, a goddess of wisdom. The Parthenon is an example of an early temple, being built in the mid 5th century and was originally constructed to replace an older temple that was destroyed by the Persians. The statue of Athena that stood in the temple was made from ivory, silver and gold but was unfortunately stolen and later destroyed. 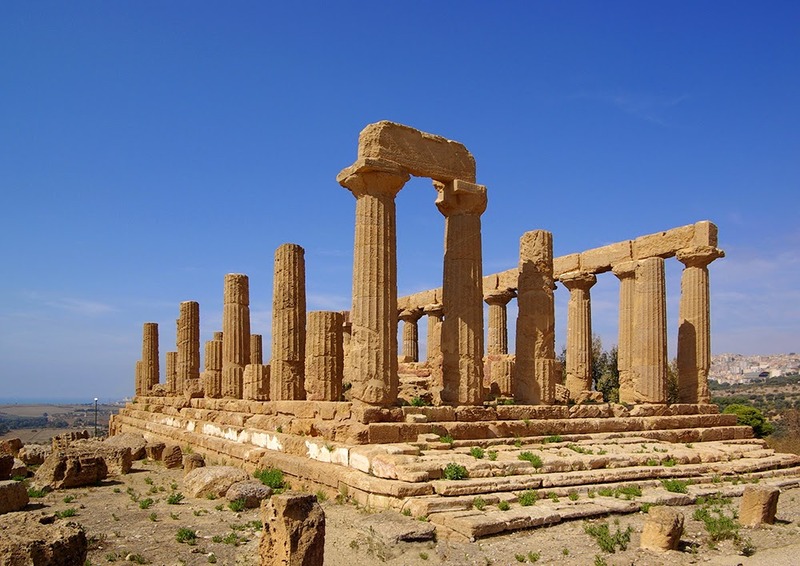 Although it is located in Sicily, Italy, the temples located in the Valley of the Temples are some of the most outstanding examples of Greek architecture. The Valley of the Temples is a UNESCO World Heritage Site and includes temples dedicated to Concordia, Juno and Heracles. The Temple of Hephaestus, dedicated to the god of metal-working and craftsmanship, is located on Agoraios Kolonos, northwest of the Agora of Athens. 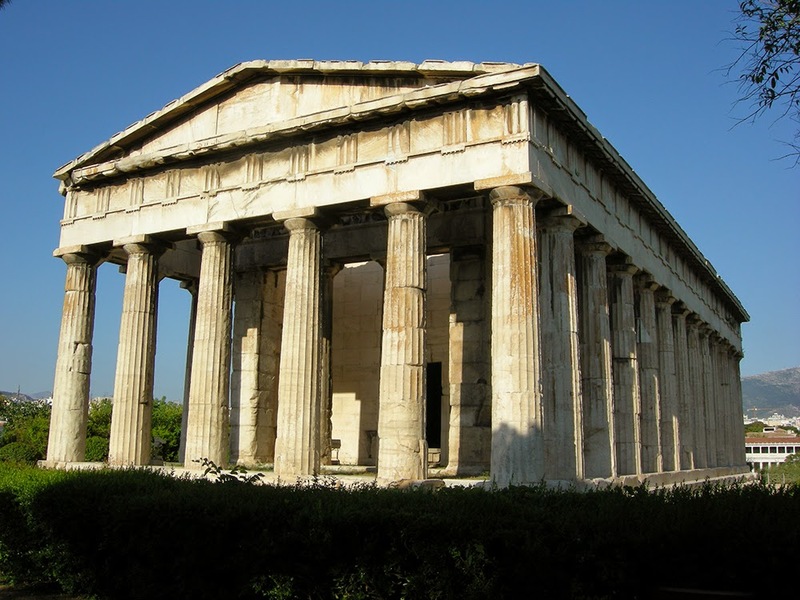 The Temple of Hephaestus is the best-preserved Greek temple to stand in the world today. Ictinus designed the temple; the architect who also helped designed the Parthenon. 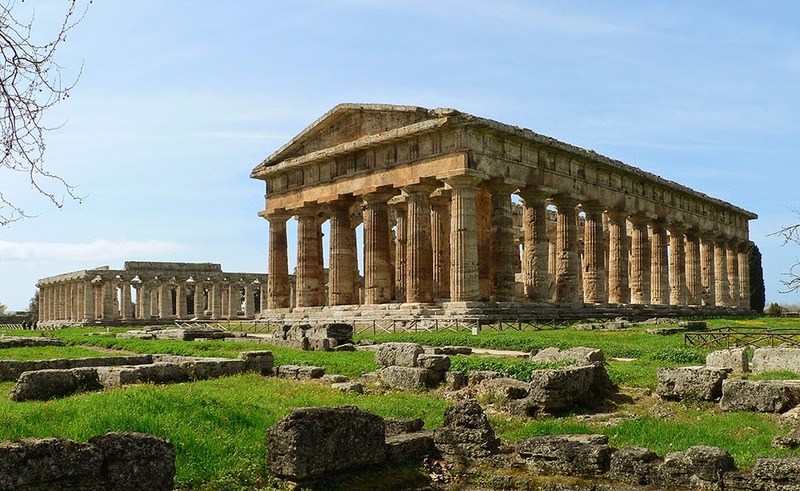 Paestum was originally an ancient Greek city located in Southern Italy and contains three well-preserved temples. The oldest temple of the three, the Temple of Hera, goddess of marriage and childbirth was built in 550 BC and another temple dedicated to Hera was built nearby about one hundred years later. The last of three situated apart from the temples of Hera, the Temple of Athena, was built in 500 BC. Located just outside the ancient city of Segesta resides the Doric Temple of Segesta. 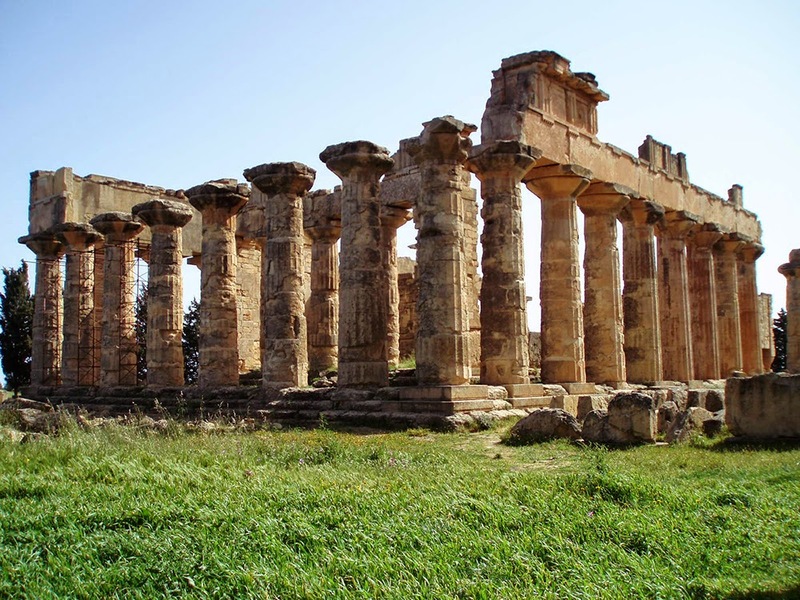 Today the temple is situated in the northwestern part of Sicily. 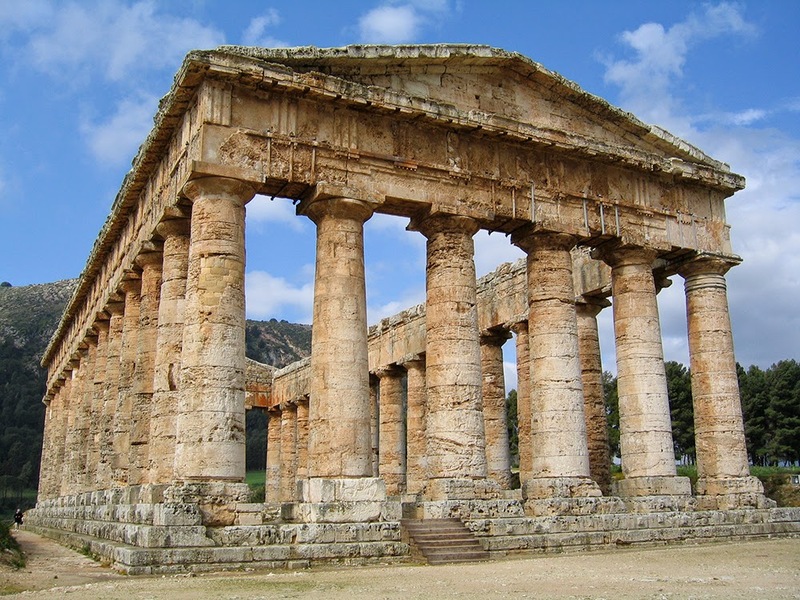 The Doric Temple of Segesta was constructed in the early part of the 5th century BC and boasts six by fourteen columns. However, there is evidence that suggests that the temple was never actually finished. Tabs that would have been used as lifting blocks still remain in the blocks of the base. The Temple of Apollo Epicurius is an unsual Greek temple that is located on the mountainside in the Pelopponese on the archaeological site Bassae. The reason for the temple’s irregularity is the fact that it is aligned north-south rather than the standard east-west. It is assumed that this is due to the limited space on the steep mountain. For its protection against the natural elements, the temple is covered with a large plastic sheet. The Erechtheum is located on the north side of the Acropolis in Athens. The temple is dedicated to the Greek hero Erichthonius. 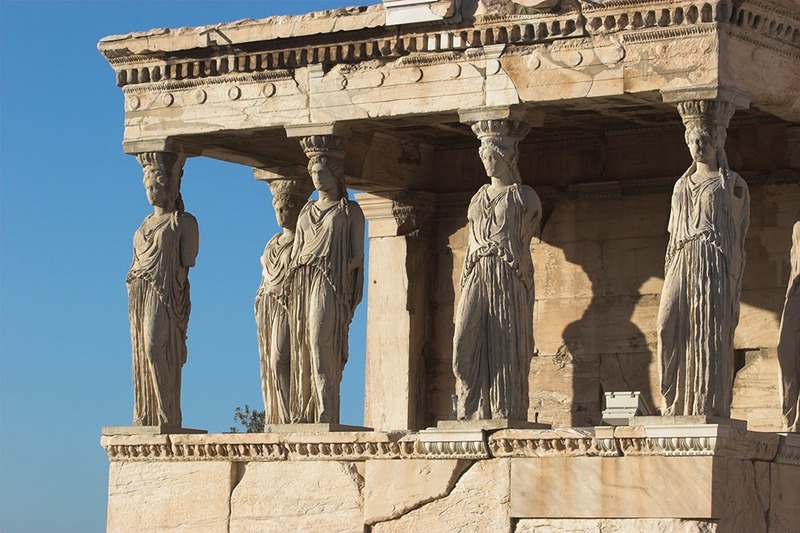 The most famous aspect of the temple is the porch that is supported by six female statues known as Caryatids. The Temple of Zeus in Cyrene, an ancient Greek colony in Libya, dates back to the 5th century BC. The temple has an interesting past as it has been destroyed and re-built multiple times. In 115 AD the temple was destroyed during a Jewish rebellion and restored five years later under Roman order. The temple then proceeded to be destroyed by an earthquake in 365 AD. The temple that continues to stand to this day was re-built in modern times by British and Italian archaeologists. 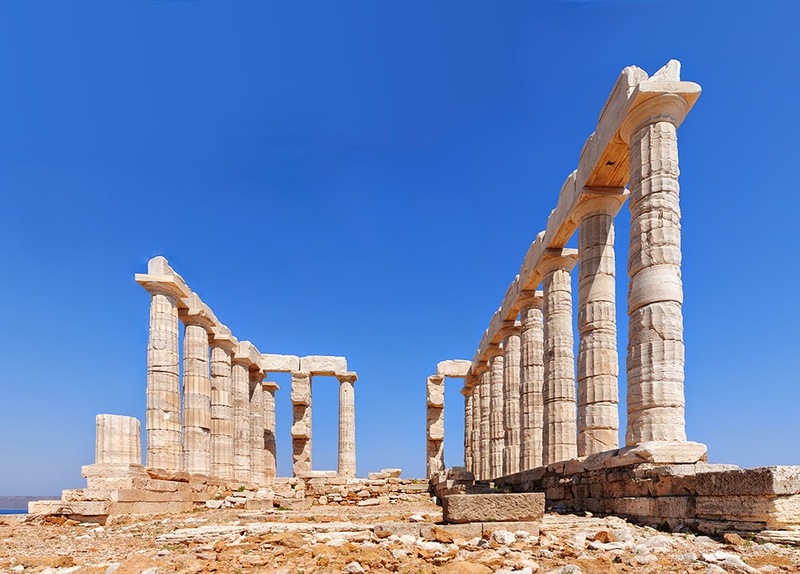 On the tip of the Attica peninsula resides the ruined Temple of Poseidon, Sounion, and is surrounded on three sides by sea creating some of the most beautiful scenery to accompany a Greek temple. When the temple was intact it would have been very similar to the Temple of Hephaestus, suggesting that the same architect possibly built it. 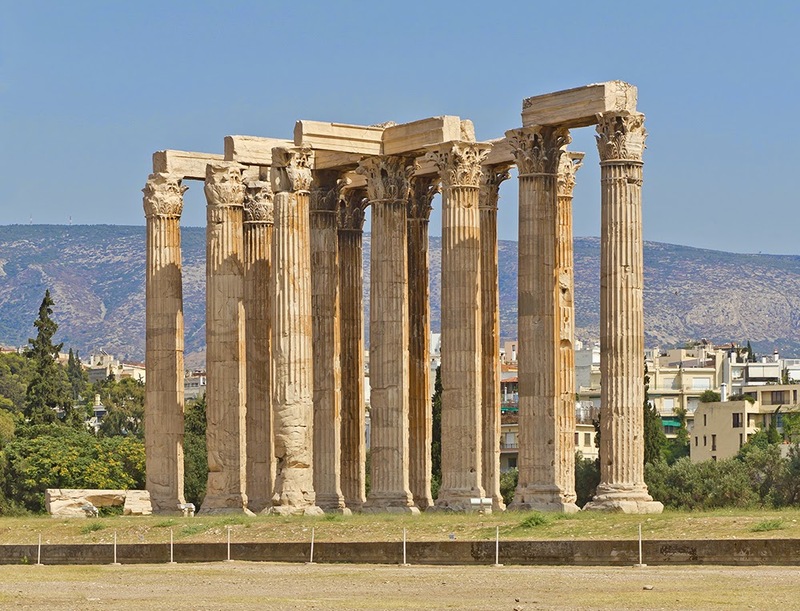 The Temple of Olympian Zeus located in Greek’s capital, Athens, is a colossal ruined temple that was dedicated to Zeus. The temple began construction in the 6th century BC but was not actually completed until the 2nd century AD. It was well-known as the largest and most impressive temple in Greece but today only a fragment remains.